A great deal of research and applications utilize adjectival properties of nouns. 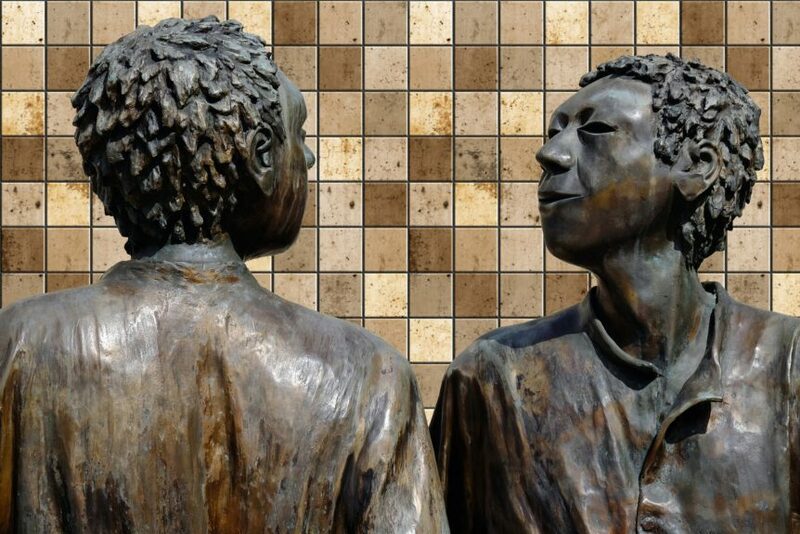 For instance, Linguistic Creativity –a sub-field of Computational Creativity that is focused on language– uses properties of nouns to generate jokes, metaphors, analogies and stories automatically. Nonetheless, obtaining quality properties of nouns is a difficult task to achieve, especially when the desired nouns are proper nouns (e.g. Albert Einstein) or fictional (e.g. Iron-man) due to the lack of resources containing such information. Alnajjar, K. and Hämäläinen, M. and Chen, H. and Toivonen, H. have proposed an approach which expands an initial list of properties about a given noun and assigns weights to them. The approach is based on network graph of properties where they infer new stereotypical properties from neighboring properties of the initially defined ones. To read more about the approach, motivations, knowledge bases utilized, experiments and more, please read this paper. 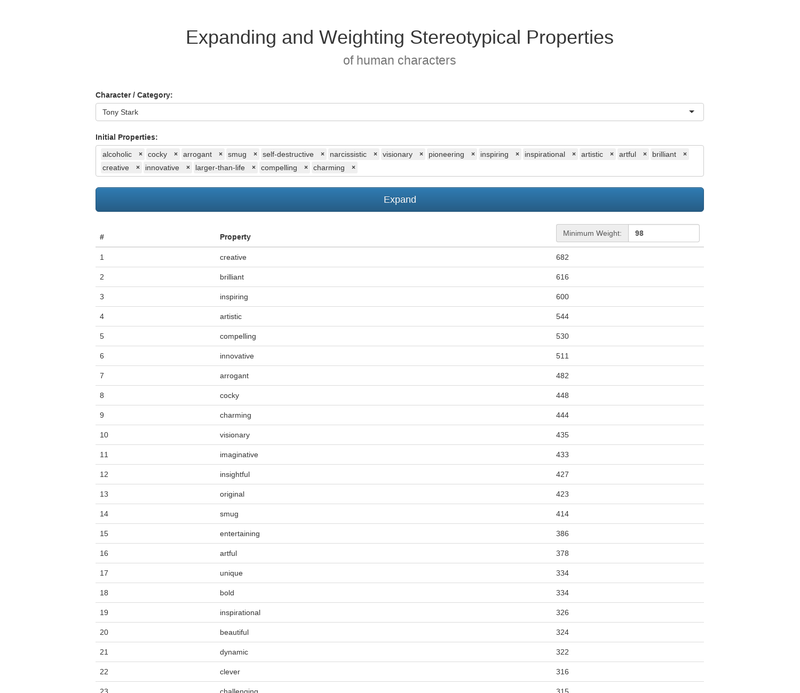 I have implemented a service for expandinig and weighting stereotypical properties of human characters (e.g. smart, creative, evil … etc) as a demonstration of the approach “Expanding and Weighting Stereotypical Properties of Human Characters for Linguistic Creativity” proposed by Alnajjar, K. and Hämäläinen, M. and Chen, H. and Toivonen, H. (2017). The service allows you to expand and weight an initial set of properties for a custom noun. Alternatively, you can choose a noun from a predefined list. Below is a screenshot of the service. Click here to visit the service and expand properties! Note: If you use this service or approach in your research, please cite the aforementioned paper.